I always get a little sentimental during the holidays, with Thanksgiving really kicking off the holiday season in earnest. But……as sappy as the sentiment above sounds, I mean it from my heart. We had an amazing year last year in 2017 – with an astonishing 50% increase in readership over the previous year…which itself had been a record year! How do you follow that? You beat it again! Honestly, I wasn’t sure that was even possible. But…apparently…it is! 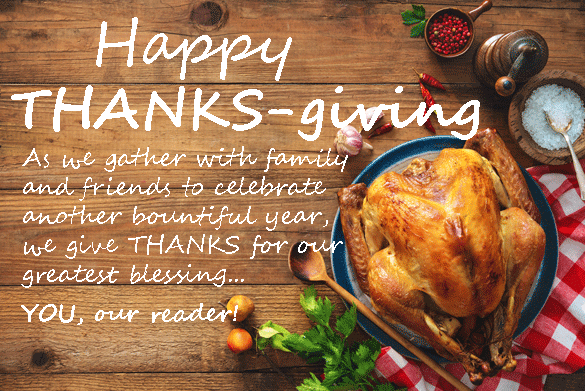 And all of this is thanks to you, our readers. Without you, I could not continue this journey. 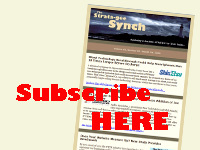 I don’t know how else to thank you for welcoming our SYNCH e-newsletter to your inbox, clicking through to the Strata-gee.com website week-in and week-out to consume our content – other than to say…THANK YOU! I promise to continue to work hard to earn your time and attention. I promise to NEVER take it for granted. I hope you and your family have a truly Happy Thanksgiving!